Building Lifestyle NZ is a building company that specialises in residential builds, in particular major renovation and new builds. We are passionate about helping people achieve their dream lifestyle by guiding them step by step through the building process. 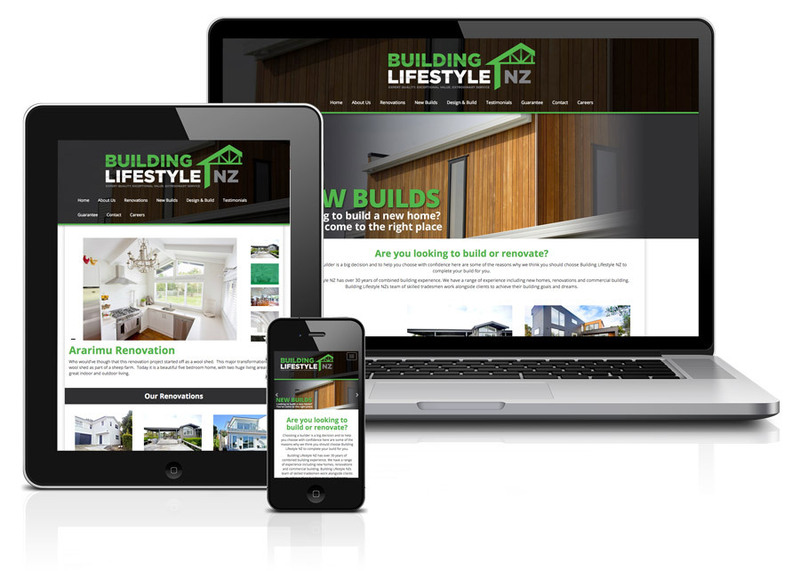 Alongside a fresh re-brand, we created a new responsive platform for Richard and the team at Building Lifestyle NZ. A clean information portal was the brief, that could easily display information on their new builds and plan built homes as well as showcasing their current builds and past projects. We have looked after all design aspects of their business including Logo Design and Brand Identity, Signage and even display banners for the recent Auckland Home Show.